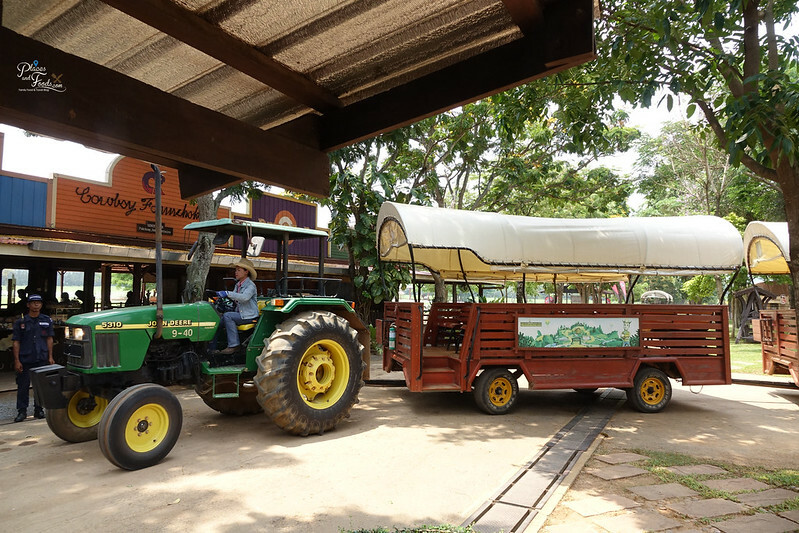 Chok Chai Farm is one of the pioneers to promote tourism in Pak Chong and Khao Yai area many years ago. From a humble small farm, it grows to one of the biggest attractions in the area. Pak Chong is around two hours drive from Bangkok city and it is one of the popular area to visit during winter season (November to February). It is located on the hill area so it is cooling during winter season. 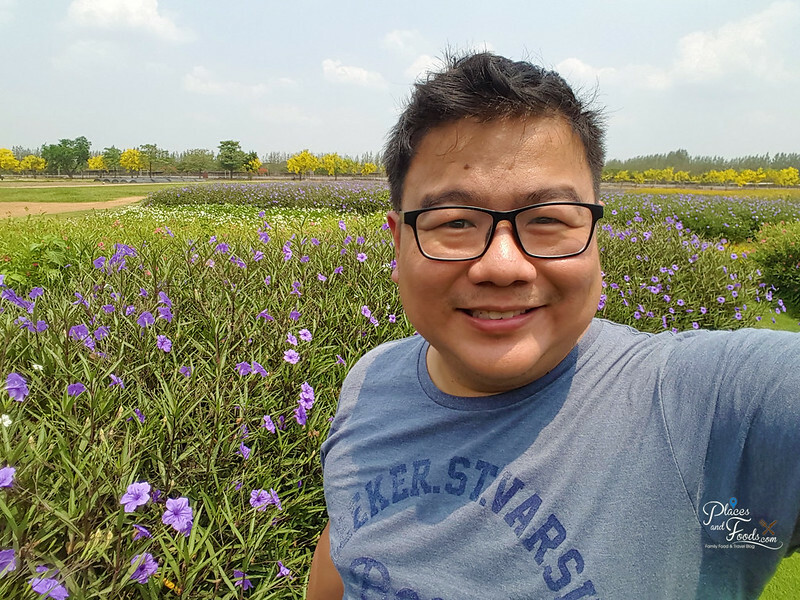 Pak Chong is also popular with the Sunflower Fields especially during December. 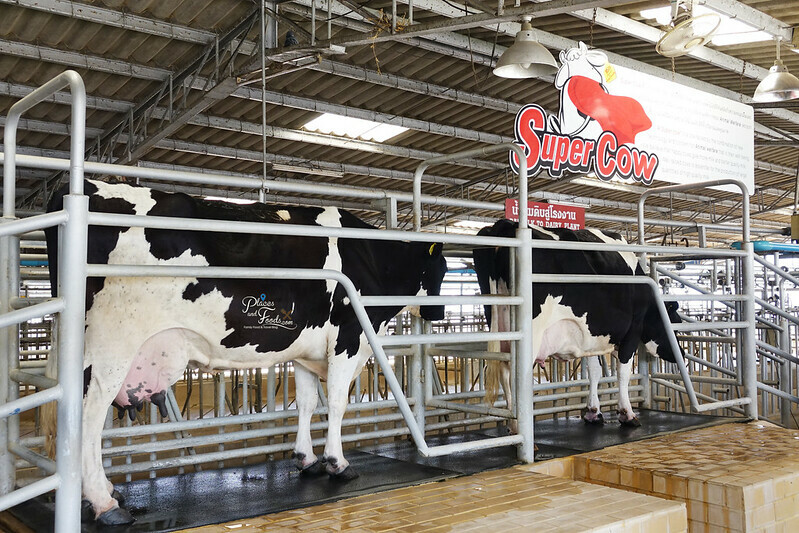 Chok Chai Farm is popular with its ‘supergene’ cows, steak, vintage cars, ATV rides, horse rides, horse carriage rides, how the produce milk and milk products. There are fixed times for the Chok Chai Farm tours (see below for the full schedule). The tours are conducted in Thai but there are English manuals available. You get to see the cows and also how they produced the milk. This is a fun learning experience especially for family with kids. You don’t get to see this in ASEAN to be honest except countries like Australia or New Zealand. It is a brilliant idea for Chok Chai Farm to show this to the locals as well as tourists. There rides you can hop on and they can bring you to a few places. You can option to go for ATV rides, horse rides and horse carriage rides (rates available in the farm). There is Cowboy show in one of the stops and the locals shows their skills with lasso. You can participate if you want to and it is a fun show to watch. There are also flower gardens for photos and we are sure many Instagrammers will like this area. There are also animal farms where you can feed them. You get to see rabbits, sheep, calves and elephants. You can interact, touch and feed the animals. The kids will enjoy the feeding session. 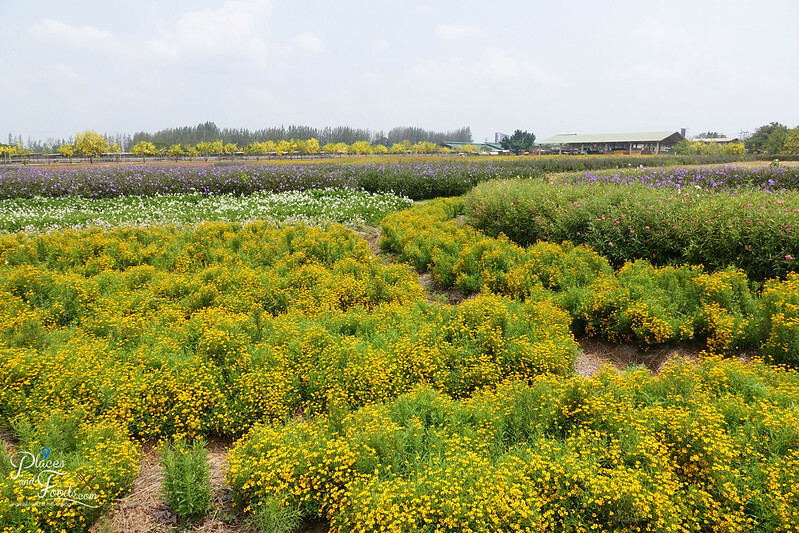 You can easily spend half a day at Chok Chai Farm in our opinion. Bring enough water when you visit the farm. Honestly, we would love to bring our boys to visit Chok Chai Farm one day. They will love this place so much as there are so many activities they can do. 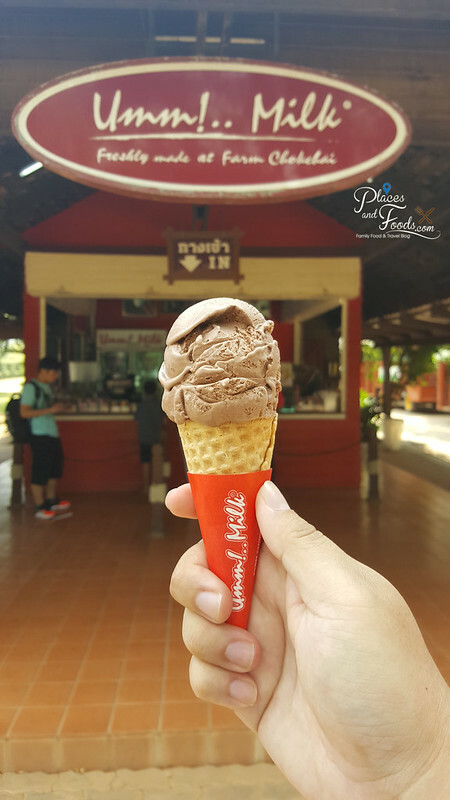 If you are looking for a family destination in Thailand, Khao Yai is one of the places we highly recommend. On top of top of Chok Chai Farm, there are many themed attractions and farms in the area you can visit. The best way to get around Pak Chong or Khao Yai area is to hire a private van or self drive. We always prefer to self drive in Thailand. You can hire a car from the airport in Bangkok and return it back when you fly back or in Bangkok city depending on which car rental company you hire the car. If you plan to self drive, it is advisable you have mobile phone data for Waze or Google Map or loan the GPS unit. The main reason we love self drive is we love the flexibility. It is extremely hard to find a tuk tuk or taxi in Pak Chong or Khao Yai area. Saturday – Sunday and public holidays : 09:00-11:40 am and 01:00-03:40 pm, every 20 minutes.